It has been too hot to turn the oven on most days. My little garden is giving me lots of hydrating cucumbers and I am always looking for interesting ways to use them. 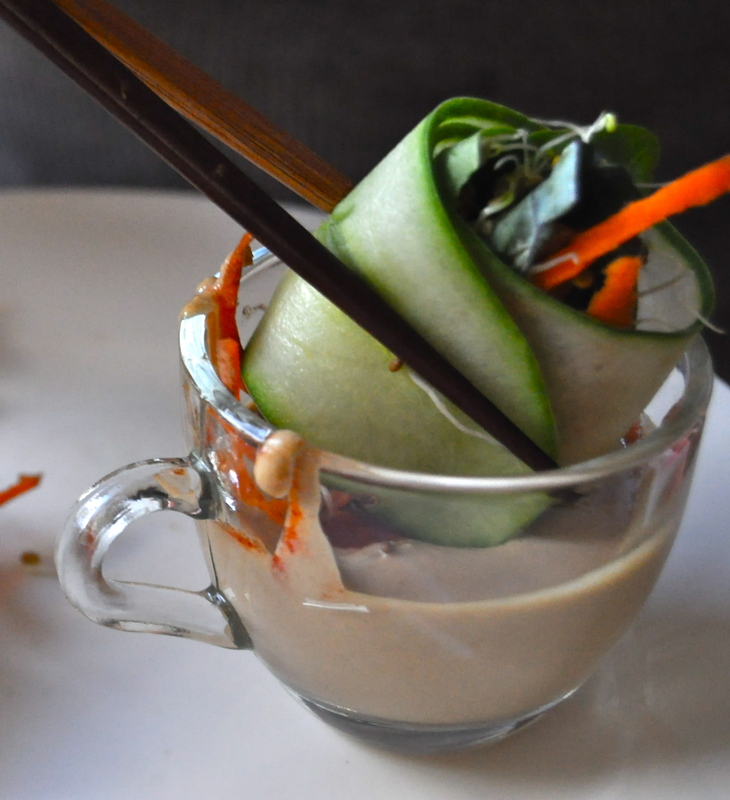 This week Kimberly Snyder challenged bloggers to re-create her vegetable spring roll recipe. 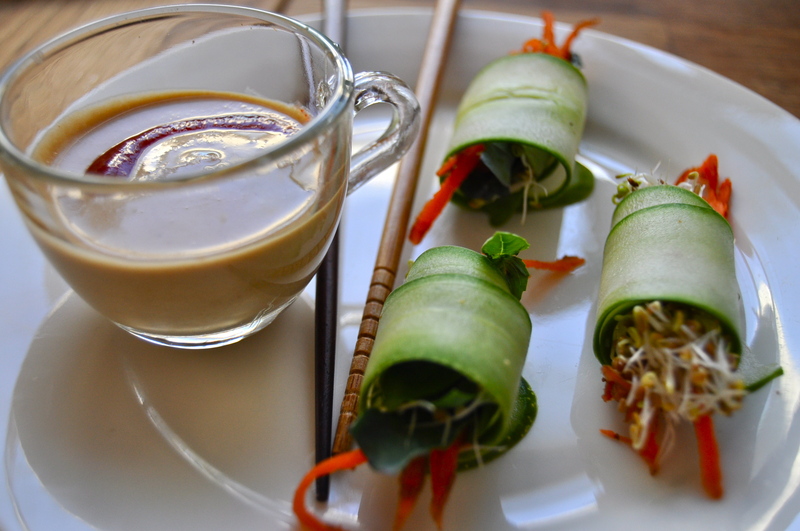 As always, I like to pack as many fresh, living, ingredients into a recipe as possible and these were created, substituting cucumbers for the more traditional rice paper. These are great for an impromptu date or party. They are fun finger food and great to put in the centre of a table for people to make their own. These can also be packed to the beach or a park, making great picnic food. The recipe below serves 2, but it is easy to adjust for larger groups. Allow for about 1 cucumber per person. Slice your cucumbers on a mandolin, lengthwise. A mandolin is definitely the best choice, however if using a knife, slice as thinly as possible down the length of the cucumber. Set aside. 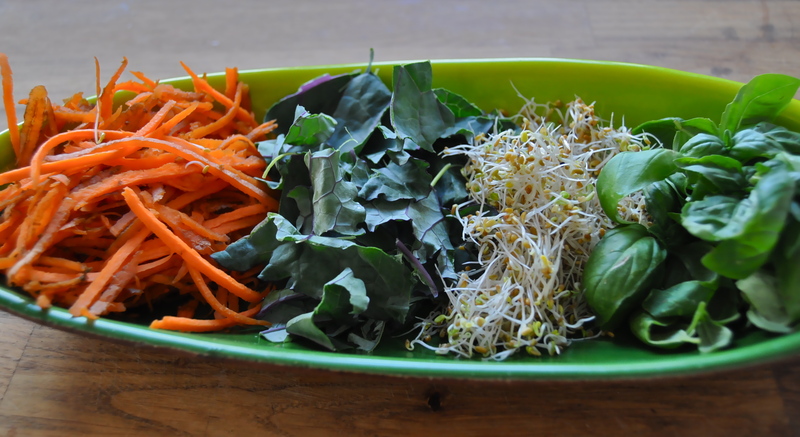 Assemble all of your toppings on a pretty plate. 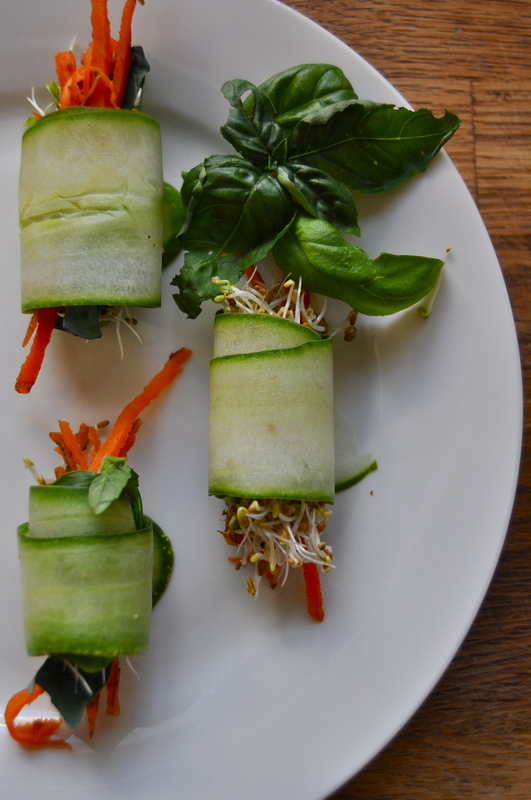 Either roll yourself-add toppings to one end of the cucumber slice and roll up. Arrange rolls on serving plate. OR- place toppings and cucumber slices in the centre of the table and allow people to roll their own. Whisk or blend ingredients together. 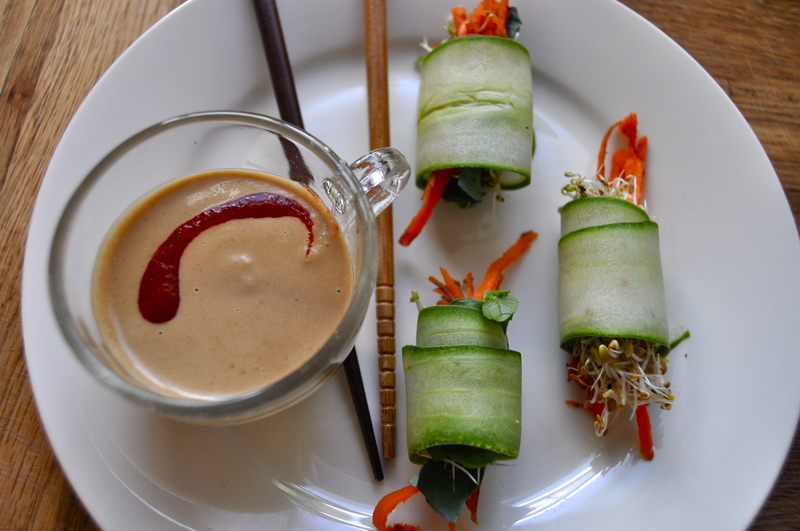 This entry was posted in main, raw, salad, snack, vegan, vegetarian and tagged dairy free, english cucumbers, fresh, gluten free, healthy, raw, salad roll, summer, thai, vegan, vietnamese. Bookmark the permalink.